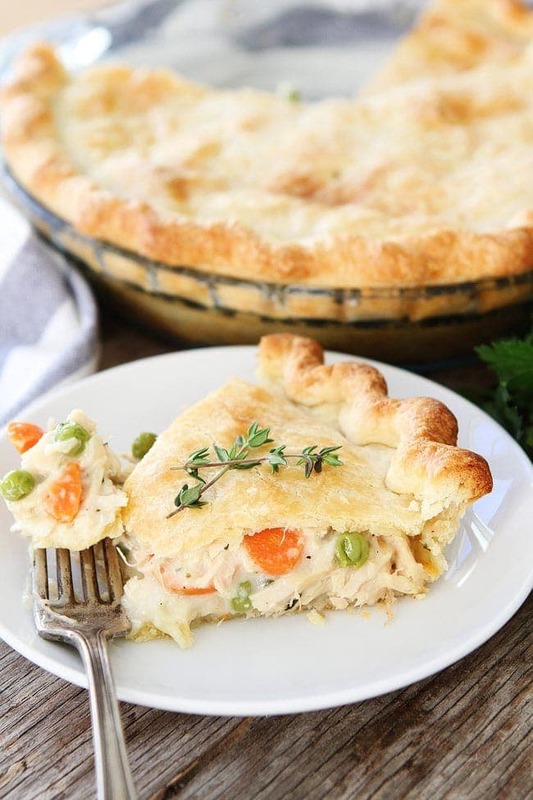 Chicken Pot Pie -this classic homemade chicken pot pie is the ultimate comfort food! 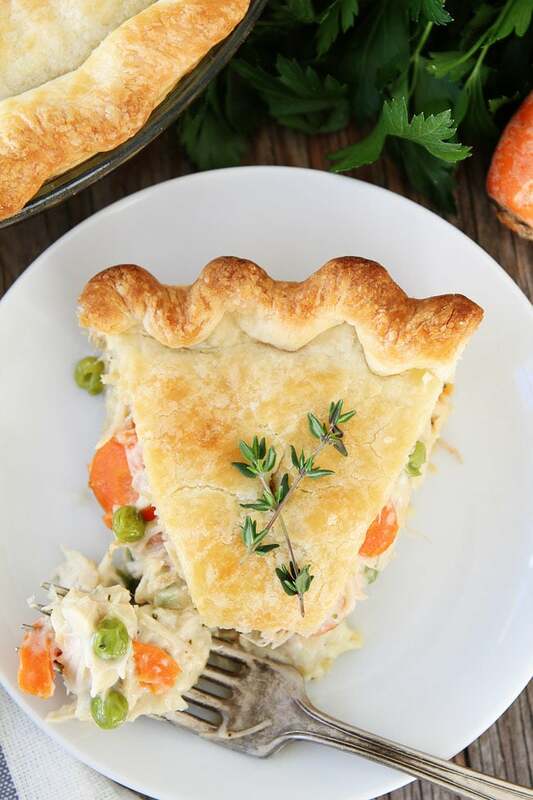 Learn how to make this easy chicken pot pie recipe and you’ll never buy a chicken pot pie again! 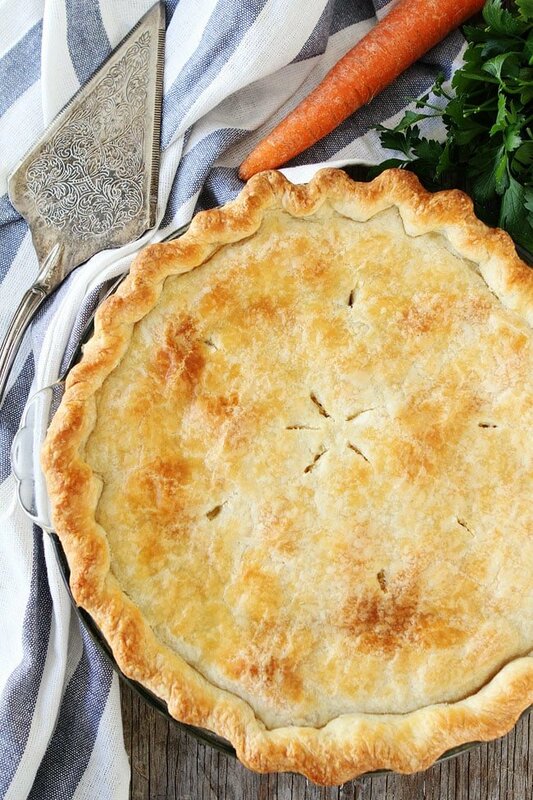 I know the title of this post reads Chicken Pot Pie, but today we are going to call it a Turkey Pot Pie since I know you all have leftover Thanksgiving turkey in your fridge to use up! 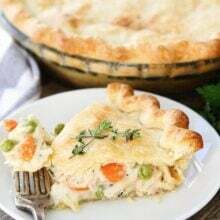 This chicken pot pie recipe works great with chicken or turkey and why not put that turkey to good use by making a delicious pot pie for dinner? I am sure you are all tired of eating leftover turkey sandwiches. It is time for something new! And if our classic chicken pot pie sounds good, note you have to try our comforting Chicken Pot Pie Soup. It is super creamy and delicious and SO easy to make! Josh makes this recipe all of the time and the boys love it. They get so excited when we tell them we are having chicken pot pie for dinner. They don’t even complain about eating their vegetables because they are eating PIE for dinner. Nothing else matters. If you don’t have leftover turkey to use up, then you can go the chicken route. For easy chicken pot pie, Josh usually uses a rotisserie chicken from the store. He shreds the chicken and uses it for the filling. And I know you made homemade pie crusts all last week so if you want to cheat and buy a pie crust from the store, I totally get it. 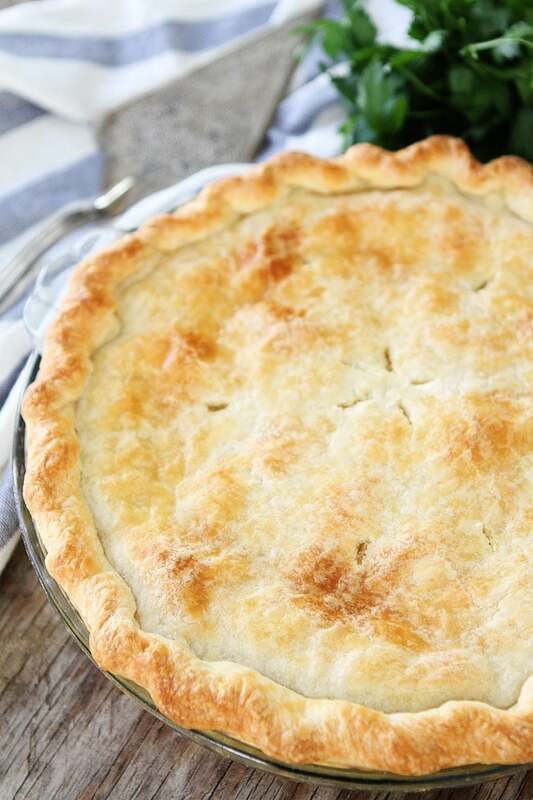 This chicken pot pie crust is the BEST, but storebought will work out great too! Chicken pot pie freezes beautifully. After the boys enjoy a few slices for dinner, I usually put the rest away in the freezer so I can reheat leftovers for lunch or busy weeknights. 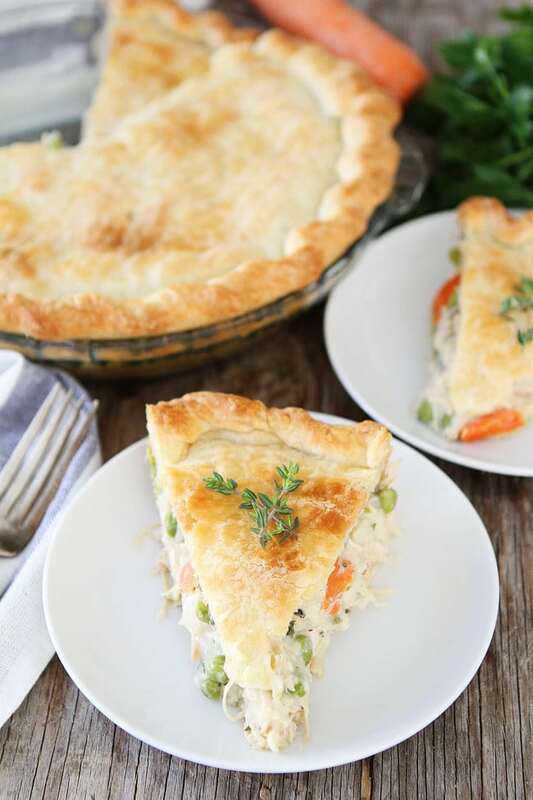 This classic homemade chicken pot pie is the perfect meal for when you are craving comfort food. My boys love it and I think you will too! And it is the perfect recipe to use up your leftover turkey. Turkey pot pie is the perfect post-holiday meal. To make the filling, heat the butter over medium-high heat in a large skillet. Add the onions, carrots, celery, and garlic and cook until tender, stirring occasionally.Whisk in the flour, salt, black pepper, thyme, parsley, chicken broth, and heavy cream. Whisk until there are no flour lumps and then simmer over medium-low heat for 10 minutes or until sauce has thickened. Stir in the shredded chicken or turkey and frozen peas. Remove from heat and set aside while you roll out the pie dough. 0 Response to "Chicken Pot Pie"